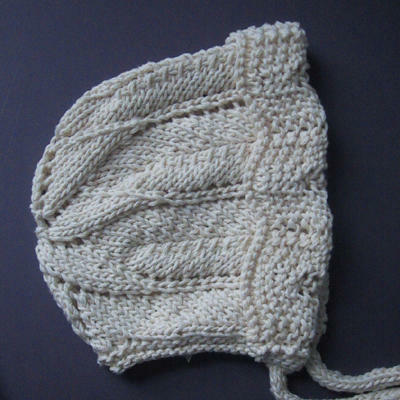 Lacy Bonnet from Erika Knight’s Knitting For Two. Pattern mods: replaced ribbon-rosette-thingie with two i-cords, practical girl that I am. I just finished an 8″ square for Cheryl’s contest. 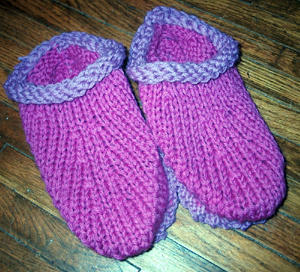 It’s kind of meh…the yarn (LB Kool Wool) doesn’t show the stitch pattern well. But off it will go in tomorrow’s mail. Hell’s Poncho awaits my return. But I’m putting that off a little longer. 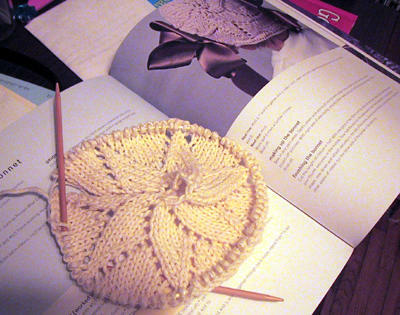 I just started the lacy bonnet from Erika Knight’s Knitting for Two (in Pakucho Organic Cotton) and it’s so freaking cute, I can’t wait to finish it. But I need to sleep. After I finish frosting cupcakes, that is. 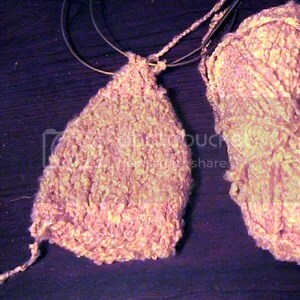 Clog deja vu…they’re still a little wet and wonky, but they’re done. Tomorrow is my birthday…and I just got a KnitPicks gift certificate from my in-laws!! Woo! How cool is that! 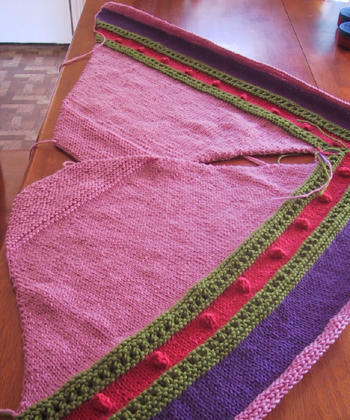 The sweater is coming along…I finished the back, both fronts, and half a sleeve. But I haven’t touched it for two days because it’s been over 90 degrees. Just can’t do it. I started a cardigan with my mystery eBay yarn the other day. I decided to cast on all the stitches at once instead of seaming it at the end. 104 stitches. 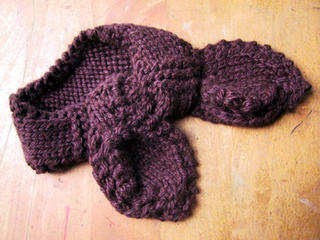 About 24 rows in, it was painfully obvious that even though I’d swatched, it was turning out too small. So, frogging time at my house. Which is a bummer for me, but a cause for great excitement for my preschooler. 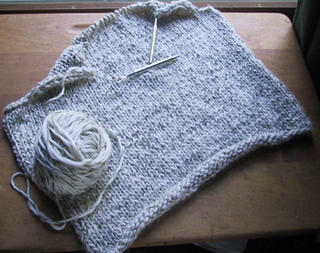 Yesterday morning at the park I cast on again, this time only the back, and on bigger needles, my beloved US13 Addis. Woo! Gotta love chunky yarn. The back is done and I’ve just cast on the front. And it looks like I’ll have enough yarn to make a matching sweater for said preschooler, and maybe even her baby sister. I must say that good needes make such a difference. 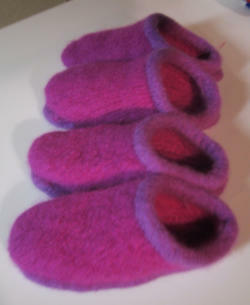 I have some US13 circs that are plastic and they are absolute hell to knit with. But the Addis? A breeze. A joy, even. The fact that I got them for $10.50 delivered makes me love them all the more. I am HALFWAY done with hell’s poncho. I think I’m going to have to block this one half at a time, because it’s just enormous when laid flat.